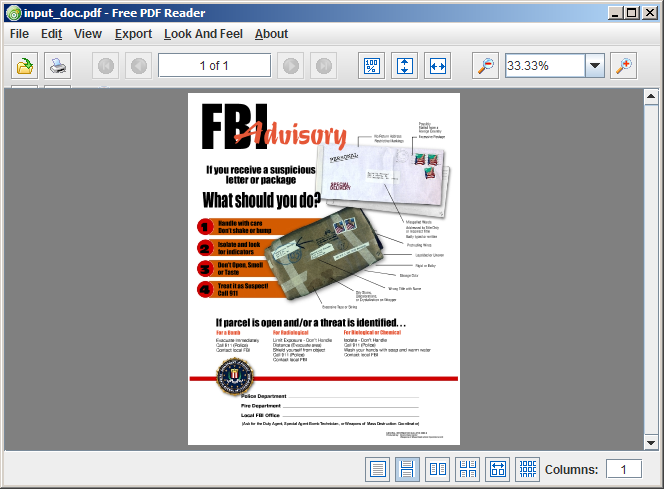 PDFtoolkit VCL works on existing PDF documents. You don't create new PDF documents with it. 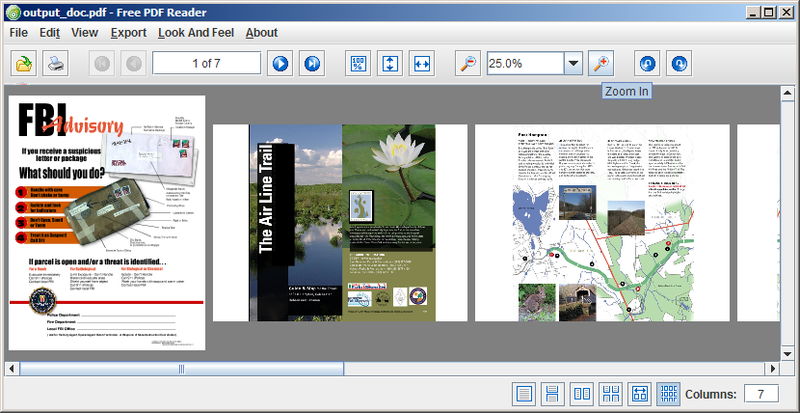 But, it does have a method that allows you to insert a blank page to an existing PDF document. Yes, it is quite a useful method. In this article, we will not go in that direction. Instead, we will use the InsertBlankPageAt() method to create pages that will hold images exported from a multi-page TIFF image. 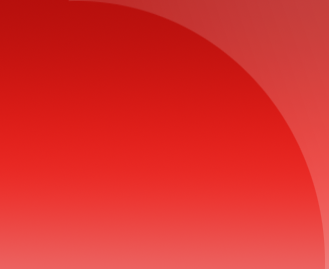 Following is the source code of a Delphi console application. It uses Erik Van Bilsen's Delphi GDI+ library to extract frames from a multipage TIFF image. The extracted images are then rendered on to a blank PDF page inserted using InsertBlankPageAt(). The above code used the following PDF document as the input file. Bilsen's Delphi GDI+ library was used for extract frames from a multipage TIFF image. 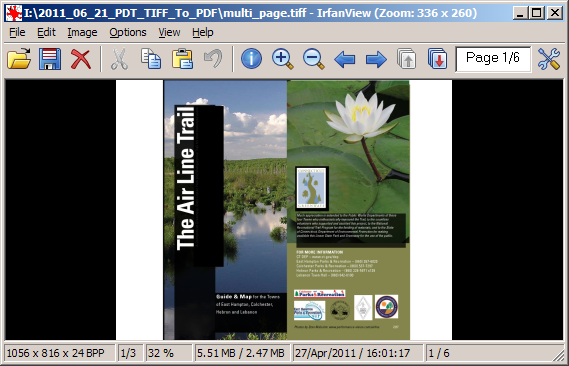 After running the code, frames from the TIFF image were rendered new pages inserted into the PDF document.